Global Mission for Children is a volunteer, Christian, church ministry that was formed to help the poorest, most oppressed, desolate and lost people on earth. 100% of all donations go directly to the mission fields. We partner with and support true, born-again, biblically sound Christian missionaries in Africa, Asia and beyond. GMFC exists to glorify God by supporting and establishing Christ centered fellowships/churches and indigenous missionaries in the most remote and least evangelized areas of the world while having an emphasis on the welfare of children. Although we help every human being we possibly can, our calling is to help children and women break out of the vicious chains of poverty, sickness, oppression, abuse and illiteracy that has plagued them for countless generations. 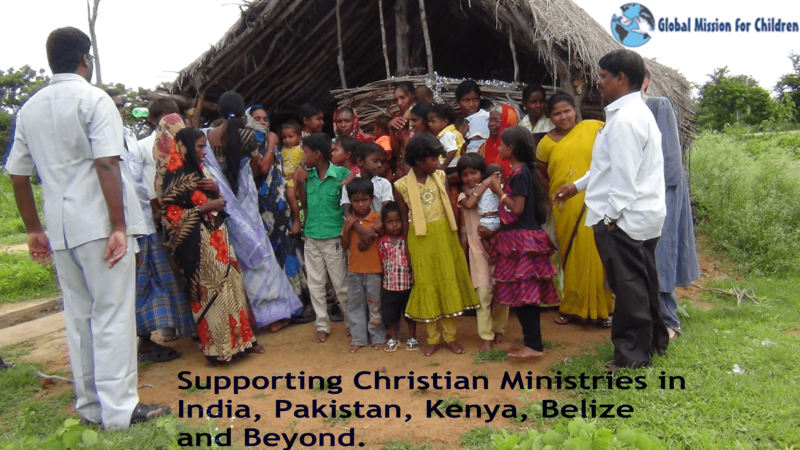 Our goal in not just to feed them, but to educate them with the Word of God as the centerpiece of their existence. We then pray they will choose to work alongside us, as so many have done. We all have a have a heart for the poor and needy of the community and the world. Our focus is supporting indigenous ministries who Evangelize by planting churches, making disciples and serving the “least of these”. (Matthew 25:40) Our specific focus are children and woman from poor countries who suffer from extreme poverty.